Tolu Oni is a Public Health Physician Scientist and urban epidemiologist; and a Clinical Senior Research Associate at the University of Cambridge, Medical Research Council Epidemiology Unit, UK. She was until recently Associate Professor in Public Health at the University of Cape Town. 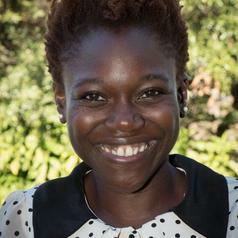 Her transdisciplinary urban health research aims to provide evidence to support development and implementation of healthy public policies in Africa. Research activities include Systems for Health projects: investigating how urban systems (e.g. housing, food) can be harnessed for health; and Health Systems projects: integrated heath systems responses to changing patterns of disease and multimorbidity in the context of urbanisation. She has published over 40 manuscripts in international journals, and has given presentations at international academic (urban health, HIV, TB) and non-academic meetings including the United Nations High Level Political Forum for Sustainable Development, New York; and the World Economic Forum (WEF) Annual Meeting, Davos 2018. She serves on several advisory boards including Future Earth and the African Academy of Science Open Research Platform; and is an editorial board member of Lancet Planetary Health, Cities and Health, and the Journal of Urban Health. Profiled in the Lancet journal in 2016, she is a 2015 Next Einstein Forum Fellow, Fellow of the Stellenbosch Institute for Advanced Study; and is co-Chair of the Global Young Academy.